Wine of Italy. 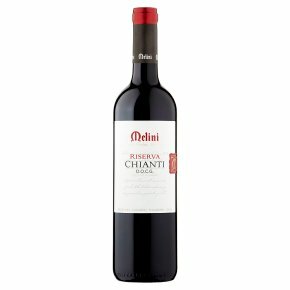 The Melini Cellar is located in the beautiful rolling hills of Tuscany and this Chianti Riserva earns its status following its partial ageing in oak vats for eight months. With ripe cherry aromatics and a bright fruit character, this supple, juicy wine delivers classic style and elegance. Perfect with a Tuscan bean casserole or a hearty tomato pasta. Perfect with a Tuscan bean casserole or a hearty tomato pasta.